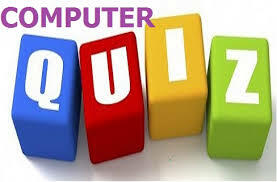 Dear Readers, we are presenting Computer Quiz for upcoming Bank Exams and LIC AAO. Computer section play important role in scoring. 1.Which one is not the option of secondary storage device? 3. How many write cycles are allowed to a RAM? 7.Which command in DOS can be used to recover accidentally deleted files? 8.Which one of the following is not true?